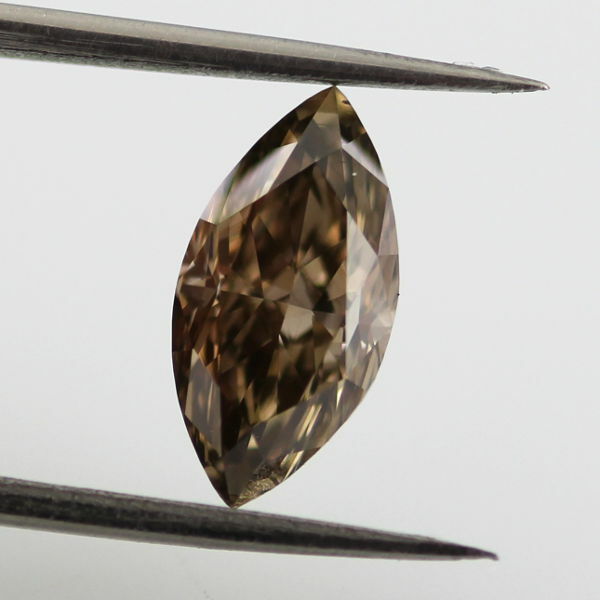 Marquise is one of the most popular shapes for diamonds and when you add in the dark brown color, you have a spectacular brown diamond that draws attention from everyone that gets a glimpse of this stunning diamond. This one offers VS2 clarity and is a full 1.29 carat. Dark brown diamonds are often called chocolate brown diamonds and just by looking at it you can easily understand why.